My biggest complaint is that the service is streaming based, which means that you need to be connected to the internet to watch and that it is currently only available in the U.S. and in Canada. For more information about Kidoodle.TV check out their Facebook page or follow them on twitter . 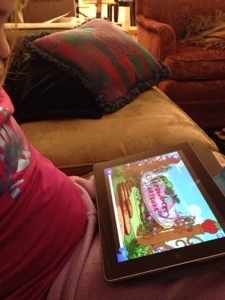 This entry was posted in Apps, tech and tagged apps, kid's tv, kids apps, safe television streaming for kids by jessica. Bookmark the permalink.